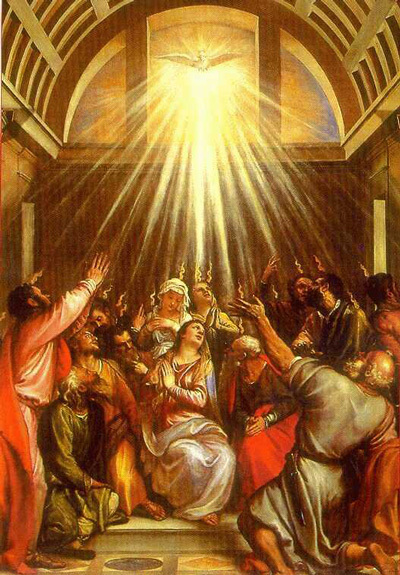 At the day of Pentecost, the disciples all gathered into a place. A sound like that of a violent wind filled the place where the disciples were. They felt as if fire landed on their tongues and they started to speak in different tongues of different nations. The disciples were all filled with the Holy Spirit and they were speaking the tongue language. The Jews in Jerusalem and all the people were curious and came in to see what happened. They were very confused and realized that the disciples were speaking in their own native languages. When Peter heard that, he stood up and said, “We are not drunk. The Lord Jesus Christ had done many miracles which you have seen and you yourselves also know. But by the Will of God, He was handed into the chief priests and suffered. He was nailed to the cross and executed to death. After that, God raised Jesus from the dead and He now sit at the right hand side of God’s throne. It is by the Holy Spirit that we are speaking this tongue language. Peter spoke to the people with many encouraging words. The people who want to accept Jesus Christ as their Savior were baptized and added to the church. Everyone was very caring and look after each other’s needs. They ate together and praised God for having this fellowship.